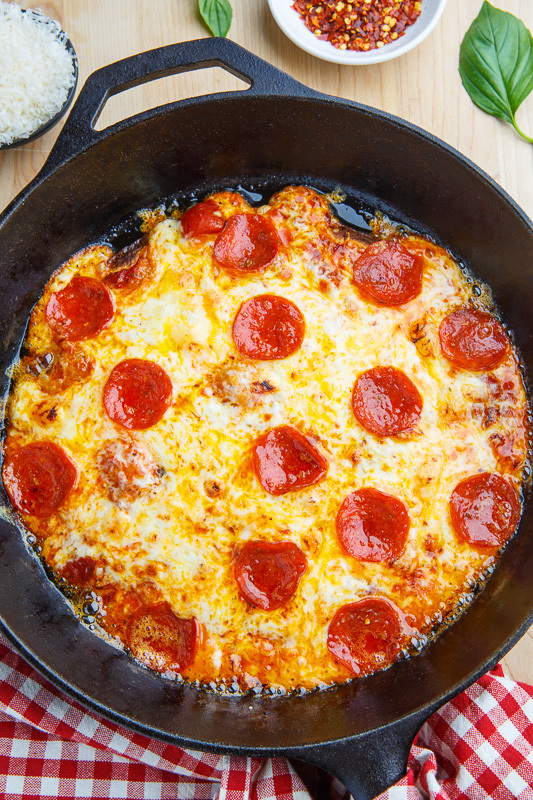 A quick and easy tortilla pizza cooked until crispy in a cast iron skillet! 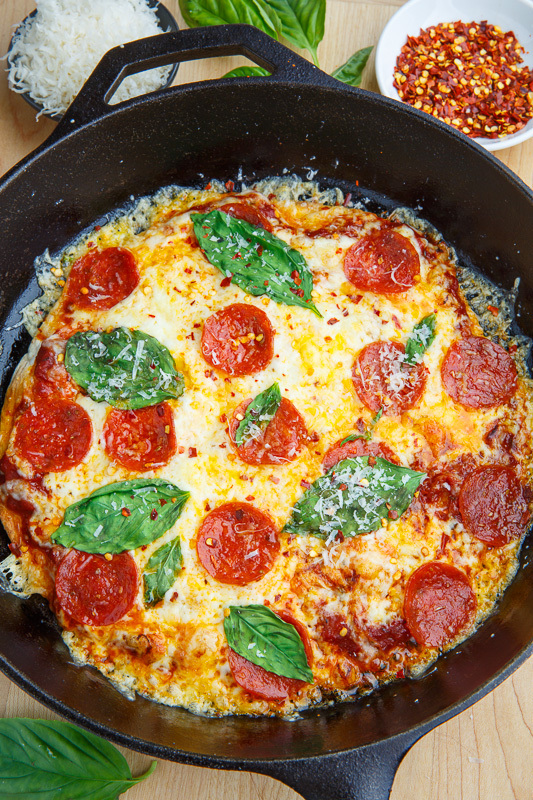 Pizza is one of my favourite foods and this crispy tortilla skillet pizza has to be one of the quickest and easiest ways of enjoying pizza! Normally to make pizza you start off by making a pizza dough which you need to make, knead, let rise and then bake, all of which takes time so using an already made tortilla is quicker and easier! Using the tortilla for the crust gives you a really nice and thin crust and the only thing that you really need to worry about is getting that tortilla crispy, so that you can pick up the slices of pizza. I have experimented a lot with trying to get the tortilla crispy and the best way that I have found is to start off by heating a cast iron skillet until it is very hot and placing the tortilla into the skillet just before topping with the sauce and cheese and placing under a broiler to melt the cheese. Starting out with a hot cast iron skillet ensures that the tortilla gets crispy, without burning, while the cheese melts on top under the broiler! 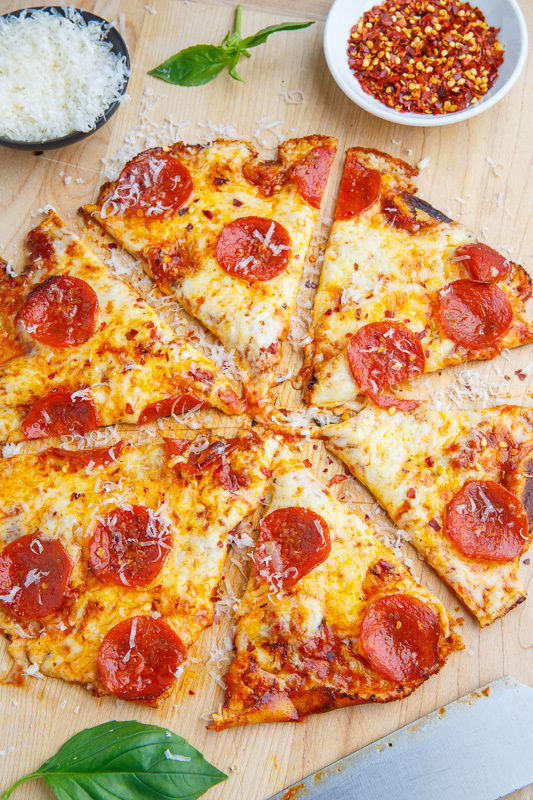 Of course you can top these crispy tortilla skillet pizzas with your favourite pizza toppings! 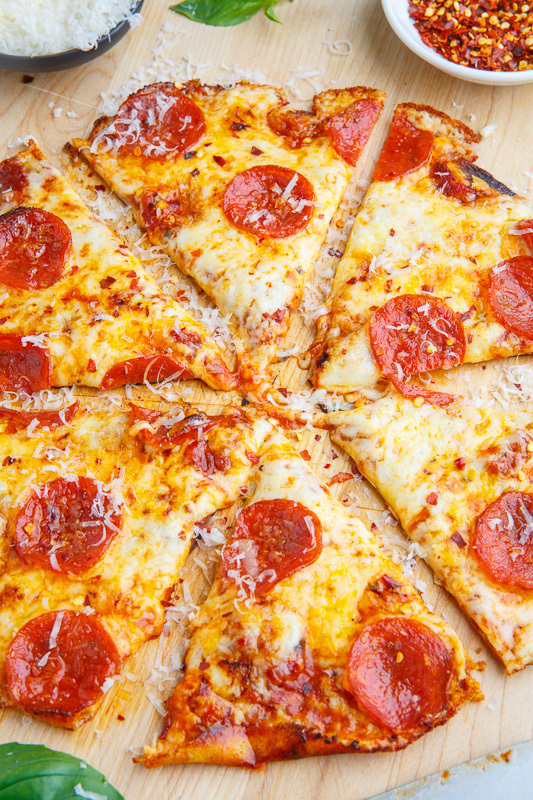 Heat the oil in a cast iron skillet over medium-high heat, remove from heat, add the tortilla, spread on the sauce, top with the cheese and pizza topping an place it under the broiler in the oven until the cheese has melted, about 2-4 minutes. Option: Top with your favourite pizza toppings! Note: If the tortilla is not perfectly crispy, return the pan to the stove over medium heat until it is crispy. YUM! Quick and easy, but absolutely delicious! We always call these crisps, super yummy! 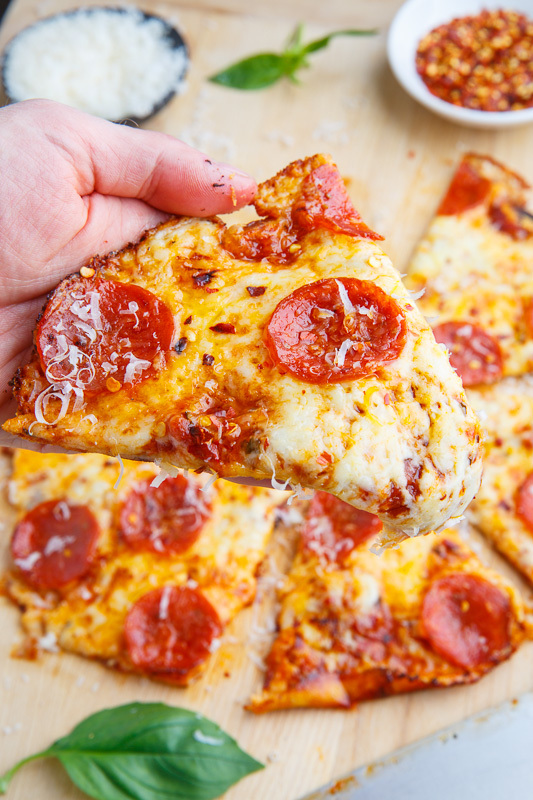 I'm convinced anything with melted cheese and pepperoni is amazing! Trying this tomorrow! This looks SO easy and incredibly delicious!! I have been making Serious Eats version since 2014. Awesome taste for such a simple procedure. is the tortilla flour or corn looks great. Kiki: I used flour tortillas for the ones in the photos but corn also works.